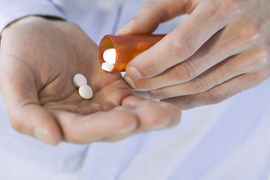 Pain medication or muscle relaxants only tend to mask the pain caused by nerve compression. Often caused by a bulging disc, sciatica is a pain experienced in the small of the back and can lead down one or both of your legs. This pain generally becomes worse over time, particularly while sitting or standing for extended periods of time. The spinal bones in the lower back have discs between them, and these are usually involved in causing the pain. Ice/Cold Therapy—Helps to reduce inflammation and control pain. TENS (transcutaneous electrical nerve stimulation)—Uses variable intensities of electrical stimulation to reduce spasms and control pain. Ultrasound—Uses gentle heat to penetrate deep into tissue to increase circulation and reduce cramps, stiffness, and pain. Adjustments—Manipulations of the spinal column help to free restricted movement of the spine and to restore everything to its proper position in the spinal column. Chiropractic adjustments reduce inflammation, muscle spasms, pain, and other symptoms related to sciatica. To begin, you must first schedule a consultation and then have a chiropractic examination conducted. Our practice has helped many patients with sciatica, and you might be next. How does someone end up with sciatica? In many cases, it won’t be difficult to guess at which injury you experienced that lead to your sciatica. It might have been a car or sports accident, but sciatica doesn’t necessarily have to be caused by an injury—bad posture, improper exercise, or other causes may result in this condition. You might be going about your daily routine, bend over to pick something up, and have sciatica “episode” out of the blue. Will chiropractic intervention resolve sciatica? Chiropractic intervention itself cannot resolve sciatica, but it can help your body heal itself. The chiropractic adjustment approach to health issues is to resolve nervous system issues and allow your body to naturally heal as a result of this. Many patients with sciatica will find that after a few weeks or months their symptoms have subsided considerably or entirely. The best course of action can often be to continue your chiropractic care, even if the sciatica appears to be gone—this can prevent relapses. I don’t recall having any physical injuries. Why am I experiencing sciatica? Many patients have similar stories. The human body is remarkably adaptive, and can accrue a great deal of stress over the years—however, at some point (as with the example of simply bending over given above), these problems will manifest.